Custom Search Account ~ What is in it for you? December Market Report ~ Big Park – VOC MARKET HOMES FOR SALE and MARKET ANALYSIS for 2017 – First of all, these are real time charts that tell us “How the market is doing”. See the definition of Market Action Index above. Altos Research uses a complex algorithm to provide the MAI. 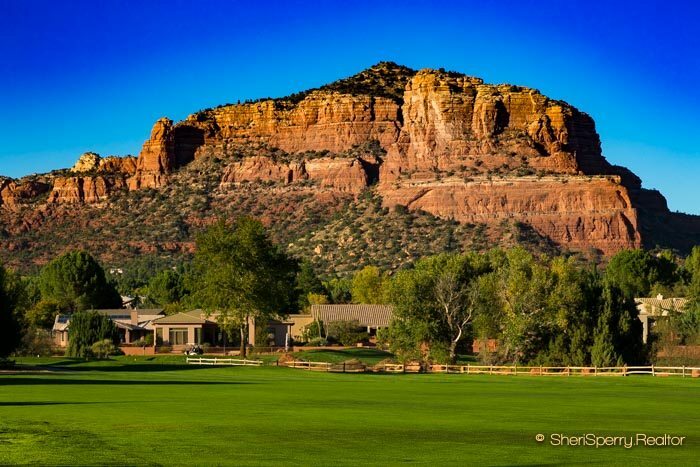 VOC, Village of Oak Creek or Big Park also known as Sedona 86351 is the bedroom community of Sedona. It is located 20 minutes from the city center off highway 179. There are two zip codes in Sedona, 86336 and 86351. 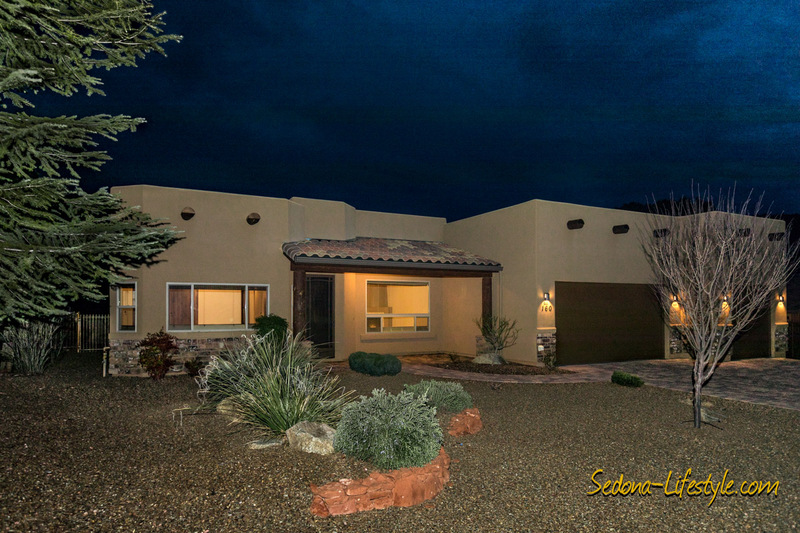 People choose this side of town because there is less traffic, good hiking trails, and a buyer can get more home for the same amount of money as Sedona 86336. It is also closer to the SR 179 for those who travel a lot. In this zip code, you will find a majority of single family homes nestled between some red rock formations. Bell Rock, Courthouse Butte, Castle Rock and the back side of Cathedral are the most notable of the formations. You will also find more than a couple of golf courses including an executive 9 hole course. Even though there is some shopping, entertainment, restaurants, and lodging. The majority of the zip code has more affordable housing than the zip code of 86336. 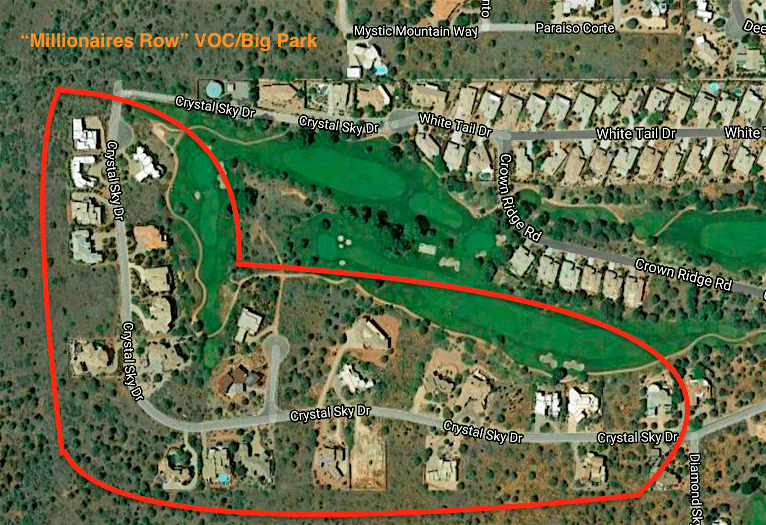 VOC/Big Park – Golf – Golf – Golf! 2017 Big Park VOC – When it comes to Big Park/Village of Oak Creek real estate & Golf Resort homes for sale, you only need to go to the Village of Oak Creek (VOC) to fulfill your dream. Homes are sprinkled around the 45 holes on two golf resorts and one executive golf course. For those who enjoy this sport, there is a home for you either close to or on a golf course. But for those who like the serene atmosphere and beauty of a home straddling one of the beautiful and well manicured fairways this may be right for you as well! 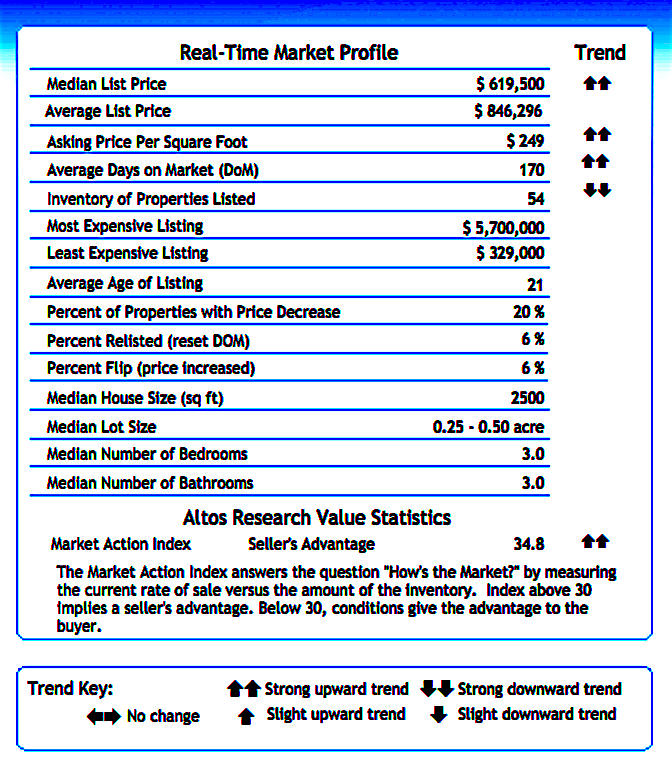 Always use the median price to track trends. The median means that half the homes are higher and half are lower. 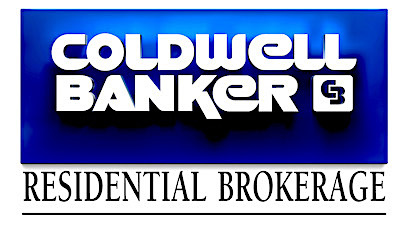 If the highest priced home is well over a million dollars this will drive the average price of homes up substantially. Average price is not a good indicator of how the market is doing. The listings above can change at any given time based on homes being added or subtracted from the Multiple Listing Service (MLS). The Median Price has increased from $597,000 to $619,500 in December. All quartiles have shown an increase in median price. Inventory is low. Results show that the inventory continues to fall. It is down 21 homes since October from 75 to 54. Days on Market (DoM) – The properties in VOC – Big Park and Pine Valley have been on the market for an average of 170 DoM. Approximately 3 weeks have been cut because of low inventory. Overall there is around a 5.6 month supply of homes on market. The top bracket is at 11 months supply up 10 days from November. The overall market is in the seller range. About 6.5 to 7.5 months supply of homes is the break for buyer vs. seller advantage. The Market Action Index – The MAI has been above 30 for all brackets the last two months. Currently all four brackets are in the seller zone. However, This is where the Days on Market come into play for buyers. A home that has been on market for 290 days may allow for some negotiation. There is such low inventory in the 86336 zip (Chapel area, Uptown and West Sedona that buyers are moving into the VOC area to purchase a home. Even though the Big Park area is in a seller range, buyers may be able to negotiate with sellers because of the West Sedona demand. This has not changed from Spring. Overall the real estate market for Village of Oak Creek continues to have very low inventory. Key in on how long a home has been sitting on the market. A buyer may be able to find some homes that the seller is willing to negotiate. The reason some homes are stale is because the seller is not willing to drop the price of the home. Keep that in mind when negotiating. One note: The Sedona Luxury Real Estate Professionals which Sheri Sperry is a past-president of, defines the Luxury Market as the top 10% of the listings available. The Luxury Market is measured using 86336, and 86351 zip codes. The price point has decreased from $910,000 and is now at $865,000 for the top 10% of the market. This figure is based on the last 6 month’s of sold listings. The top 10% of active listings (which is different from sold listings) has moved lower from $1,750,000 to $1,675,000 in December. – This just gives you an idea of how the active market compares. To learn more about these market reports please visit SedonaMarketReports.com on my website or click on the MAP below for a quick look of each market. You can sign up for a weekly update right on the map by clicking the map marker. Visit Market Stats on my website or contact me with questions. ABOUT ME: “Many buyers and sellers are skeptical about salespeople. So am I! But, I am not a typical salesperson. I put myself in your shoes and help you make decisions based on how I would want to proceed if I were you. In other words, what steps would I take and what is right for you? How will this transaction be beneficial for you? How will it help you move forward with your goals? How can I make it as smooth and pleasant as possible? What is in your best interests as we move forward? A paid subscription service is provided by SellSedona.com and Altos Research to determine “How the active market is doing”. 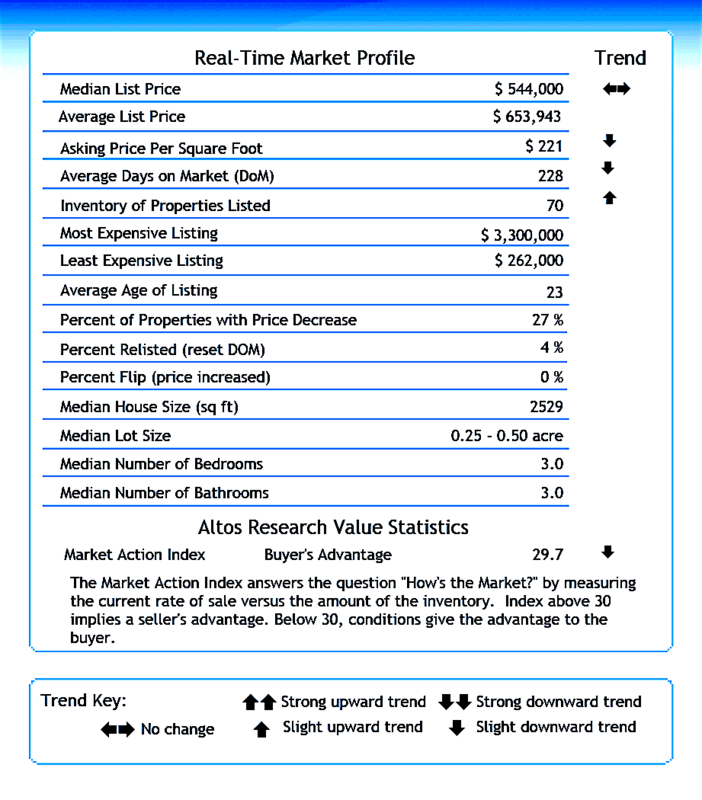 This Market Report is for single family residential only. No other housing segment is being analyzed. Analysis of Market Research and trends are based on opinion, experience, past & current statistics and other information. It is deemed reliable but not guaranteed.